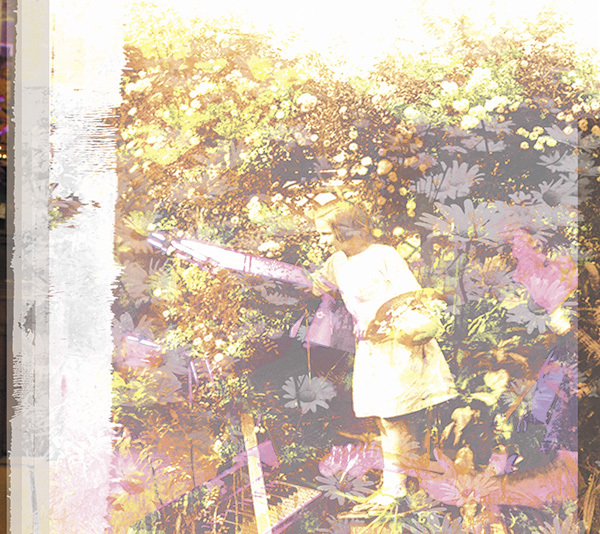 This is Maisie, who was photographed about 100 years ago cutting roses from her garden, and has now reappeared on a CD by a group called Lost Garden. The image seemed to sum up the name nicely, and is an integral part of the complex layered design for the fold out CD which I’ve just been finishing up for and with the group. You can read about the Lost Garden project on the site and see the original visuals and finished work.